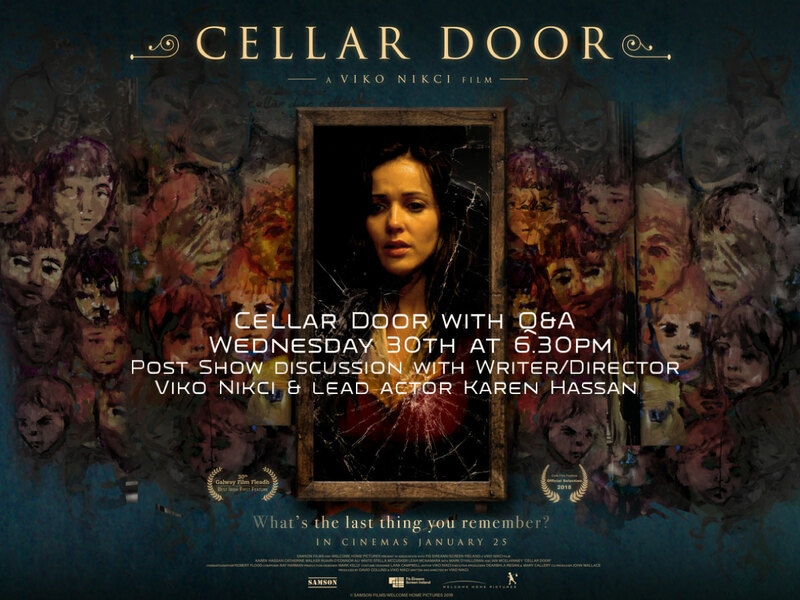 The Eye Cinema in Wellpark is delighted to welcome director Viko Nikci along with lead Actor Karen Hassan on Wednesday 30th January for an exclusive Q&A session after the 6.30pm screening of ‘Cellar Door’, moderated by Garry Kelly of GK Media. Cellar Door tells the story of young lover Aidie (Karen Hassan) as she searches for her son while in the grip of the Church. But as she gets closer to the truth, she suffers uncontrollable shifts in time and place that send her spiralling. With a unique point of view on a familiar trauma, Cellar Door cuts deep into Aidie’s subjective experience. Something is forcing Aidie to relive the moments that led to her being institutionalised. Aidie must work out the mystery, break free from the cycle and find her son. Please note early arrival and booking are strongly advised for this event. Tickets on sale now! Log onto www.eyecinema.ie or call: 091 78 00 78.